A few months ago, I finished Hamid Ismailov’s the Devils’ Dance, which is a historical novel about the famous Uzbek writer, Abdulla Qodiriy’s last days in a Soviet prison, and the book the real Qodiriy was working on, but never published about an Uzbek princess, Oyxon, and the courts of Kokand and Bukhara. I was somewhat familiar with the court of Bukhara before starting the Devils’ Dance because I had read of the executions of the British envoys: Charles Stoddart and Arthur Connelly. Today, Bukhara is the capital of the Bukhara region in Uzbekistan, although most minorities in Central Asia have some claim to the ancient city. Having existed since the 6th century BC and sitting on the silk road, Bukhara was known to be an educated and beguiling place. During the reign of the Samanids, it was the second center of Islamic thought (the first being Baghdad). Like all of Central Asia, Bukhara saw mass migration, including Turkic speaking people, was part of the Persian Empire for a long time, and was besieged by Genghis Khan in 1220 BC. After the Mongols, the region broke into khanates, with Bukhara existing in the region known as Turkestan, as the new superpowers-Russian and Britain-vied for control. The Great Game: the great struggle for regional control over Central Asia raged between Britain and Russia for much of the 19th century. Russia disliked having Britain playing in ‘its backyard’ while Britain was perpetually terrified that they would lose India to the ‘Russian horde’. It lasted from about 1815 to 1895, when the Pamir Boundary Commission protocols were signed, defining the borders of Afghanistan and the Russian Empire. After the Treaty of Turkmenchay between Iran and Russia in 1828 and the Treaty of Adrianople between Russia and Turkey in 1829, Britain feared that Turkey and Persia would become Russian protectorates, forcing Britain to change how they viewed the distribution of power and potentially threatening their trade routes through the Middle East and the Persian Gulf. Their solution was to stir up trouble in Central Asia, turn Afghanistan into a protectorate and use the Ottoman Empire, Persian Empire, Khanate of Khiva, and Emirate of Bukhara as buffer states. Russia wanted Afghanistan to remain neutral, free the Russians who had been enslaved in Central Asia (there were also rumors of many Russian slaves being forced converted to Islam), and for the Khanates of Khiva and Bukhara to stop resisting Russian expansion and stop granting asylum to Kazakhs fleeing Russian justice. Russia had slowly broken and conquered the Kazakh Khanate between 1824 and 1854. They also wanted the Khanates to stop harassing Russian merchants and businessmen who were entering the region and to allow use of the Amu Darya river. None of these aims were realized and Russian grew concerned over increased British influence in Central Asia. Trapped between these two juggernauts were the Central Asian people and their khanates who wanted to keep their land free from foreign interference and wanted to continue ruling as they had ruled for the past millennia. his counterpart in Kokand, Madali Khan. During his reign, he would organize many unsuccessful offensives against Kokand, winning a minor victory in 1839 and 1841 and finally executing Madali and most of his family in 1842. Often described as capricious, cruel, and ‘mad’, Nasrullah had the thankless task of managing complex regional politics as well as understanding Russia’s and Britain’s true intentions regarding Central Asia. Nasrullah was alarmed by three events: the British’s and Russian’s initiative to end the slave trade in Central Asia (even though bonded servitude existed in Russia up until 1861), the 1839 Anglo-Afghan war, and the Russian assault on Khiva in 1839. In an attempt to curb the slave trade in Turkestan, Britain sent an envoy to the various khans and emirs. This envoy’s name was Charles Stoddart and he was the worst man for the job. 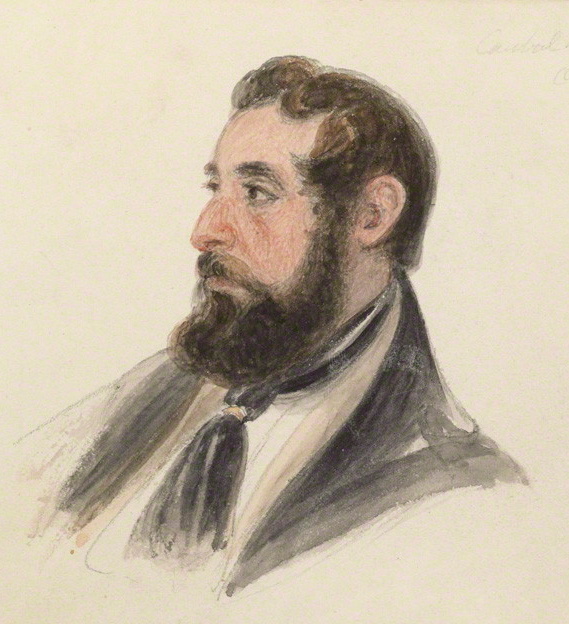 Stoddart, born in Ipswich in 1806, was a brave and talented officer, but a horrible diplomat. He survived the siege at Herat in which a Persian army attempted to take the city of Herat, then a British territory and was a member of the Royal Staff corp. Stoddart showed boldness, but also a highhandedness when dealing with non-British citizens, especially people from Central and Eastern Asia. When Stoddart arrived in Bukhara in 1838, he insisted on riding in full military regalia and refused to dismount to greet the Emir Nasrullah as protocol dictated. Additionally, he carried with him a letter urging Nasrullah to end the slave trade and to accept British assistance in defending Bukhara, but it did not contain the Queen’s signature. Nasrullah was furious, believing himself to be the Queen’s equal and, thus, any deal should come from the Queen, not one of her arrogant officers. Additionally, Nasrullah received a letter from the Emir of Herat, warning him that Stoddart was a spy that deserved to be executed. Within days of his arrival, Stoddart was arrested, shackled and thrown into one of Bukhara’s infamous bug infested pits. Known as the Siyah Chah, it was a twenty-one foot deep hole littered with bones, rotting flesh and insects and rodents. Stoddart would be taken out periodically, before being thrown back in and he was able to smuggle letters back to England describing his ordeal. Stoddart’s situation cause a great outcry in England and Captain Arthur Connolly saw an opportunity to take part in a great challenge for her royal majesty. Born in 1807 in London and sailed to India when he was only sixteen. Inspired by Reginald Heber, the Bishop of Calcutta, Connolly wanted to convert Muslims to Christianity and introduce Western ‘humanitarianism’ to the East. It is also popularly said that he coined the phrase the “Great Game”. He firmly believed that by creating a ‘Christian band of heroes’ in Khiva, Bukhara, and Khokand, England could stop the slave trade, contain Russian expansion, and open Central Asia to British commerce. Having proven himself an intrepid man, he was sent to Kabul, where he first heard of Stoddart’s plight. Stirred by the rumor that Stoddart, at the peril of death, had renounced Christianity, Connolly asked permission to dive into Bukhara and rescue him. region to grant Connolly his request. He left in September 1840 with 80 servants and a well-stocked caravan. He reached Khiva in 1841, where he was warned by the khan to stay away from Bukhara. The khan also saw no reason to give up the slave trade and make an alliance with either of his counterparts in Bukhara or Kokand. Connolly ignored him. He then went to Kokand, which was at war with Bukhara. While at Kokand, he received a series of letters from Stoddart, one ending on a hopeful note-Stoddart believed he was winning the Emir’s favor. Bolstered by this news, he went to Bukhara and arrived in November 1841. Stoddart, free at the time, greeted him and he was taken to see Nasrullah. The Emir was polite, but wanted to know why Britain wasn’t content to stay in Afghanistan. Nasrullah seemed to believe that Connolly was just one more spy sent to sow dissent amongst the Khans. His mood soured when he Stoddart received a letter from the Foreign Secretary that acknowledged the Emir’s letter to Queen Victoria, but had it sent to the Governor-General of India to handle. Nasrullah was furious at this insult and found inspiration in Afghanistan where an uprising had killed a British Envoy, deposed a puppet ruler, and massacred an entire British army. Nasrullah arrested both Stoddart and Connelly and threw them into an unheated cell, crawling with rodents. They managed to smuggle letters to the outside world. They remained in that prison for months during which Nasrullah declared war on Khokand once more and slaughtered the khan and his family, including the famous poet Nodira. Months passed, and England didn’t receive any letters from either Stoddart and Connelly. Many feared the worst. A brave man named Dr. Joseph Wolff volunteered to travel into Central Asia to learn of their fate. Born in 1795 in Weilersbach Germany to a rabbi, he eventually converted to Christianity and became a well-known missionary. His mission was to bring the word of God to the Middle East, Crimea, and the Caucasus. He left for Bukhara in 1843 and was greeted warmly when he arrived. He met with Nasrullah and was grilled about English government and lifestyle, marveling over how the Queen’s husband could allow himself to be ruled by a woman. However, Stoddart and Connolly were nowhere to be found. Eventually, Wolff was able to learn that Stoddart and Connolly’s lives had been spared when a Russian mission arrived in Bukhara. However, when the Russians left, Stoddart and Connolly were brought to the main square and beheaded for being spies. Shortly after learning about this, Wolff, himself, was thrown in jail and also threatened with execution. His life was saved when the Shah of Persia sent a letter to Nasrullah on Wolff’s behalf. Nasrullah relented and Wolff made the difficult journey back to England and wrote about his experience. He was surprisingly fair to Nasrullah, admitting that he was cruel and tyrannical, but he also hated bribery, protected the poor, and open to new knowledge. Wolff wrote that Nasrullah wanted to understand England in order to reconcile Bukhara to it. In their book, Tournament of Shadows, Karl E. Meyer and Shareen Blair Brysac wonder why the British government never asked Queen Victoria to write a letter to Nasrullah on the behalf of Stoddart and Connolly. Why did Wolff have to take it upon himself to try and rescue them? After Connolly failed in his mission, the British government claimed that he had gone without permission and therefore no pay was due to the servants that went with him. From what I can tell, Britain was more focused on Afghanistan and Khiva, then Bukhara and poor Stoddart and Connolly were deprioritized until it was too late to do anything productive. At that point, instead of drawing attention to their failure to rescue their own envoys, the government seemed content to let sleeping dogs lie, leaving it to brave men like Dr. Wolff to bring closure on a rather botched attempt at diplomacy.